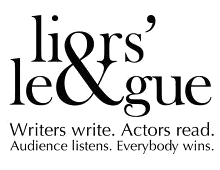 Liars’ League is a monthly live fiction night, where professional actors read new short stories by writers from around the world. Watch actress Lizzie Roper read Julie’s story One, Two, Three – Go! And read the text for the story here. Watch actress Charlotte Worthing read Julie’s story Kayleigh, for a special Hallowe’en evening that showcased a new Granta story by Stephen King. Read, or listen to actress Susan Moisan read, Julie’s story Don’t Get Dead.